Horizon Dads' is for men who want to develop extraordinary relationships with their wives, sons, daughters and/or grandchildren. This group is designed to help you develop an awareness of effective strategies and become proactive in leading your family. This will be time well spent as you grow with intentional and practical steps based on the wisdom of other fathers and the teachings of Christ. Each of the evenings will contain unique presentations from other Horizon dads. Materials will be provided at the first meeting. 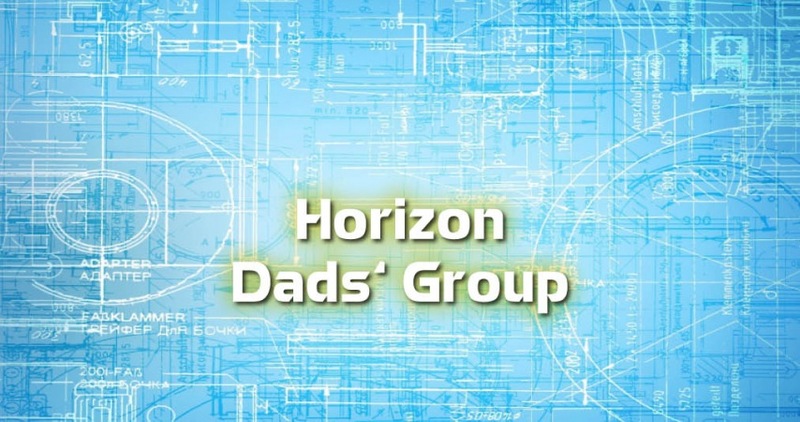 Horizon Dads' will not meet on Monday, Feb. 20th due to the holiday weekend. The group will meet again on Feb. 27th. To register, click on the button below and fill out the form. If you already registered last year, no need to register again. 7:30 p.m. – 8:45 p.m.
Childcare is not provided for this group.